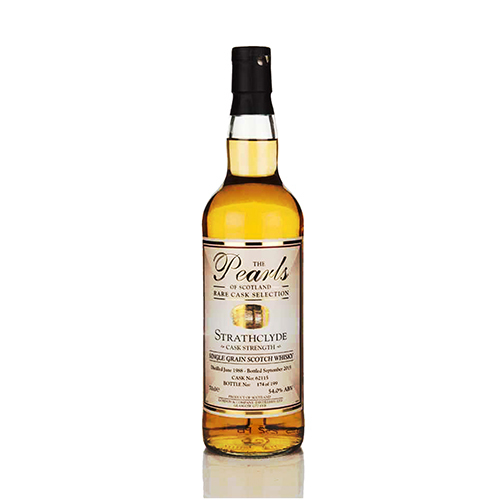 The Pearls of Scotland' is a continually changing range of exclusive single cask bottlings from some of Scotland's finest distilleries. The whiskies are bottled unchillfiltered at cask strength, with no added colour, for your pleasure and enjoyment. Each and every bottle is labelled with details showing the months and years of distillation and bottling, the cask number and the strength of the whisky. In addition, each bottle is individually numbered. The bottle is presented in a dark blue individual gift box with gold foil printing.